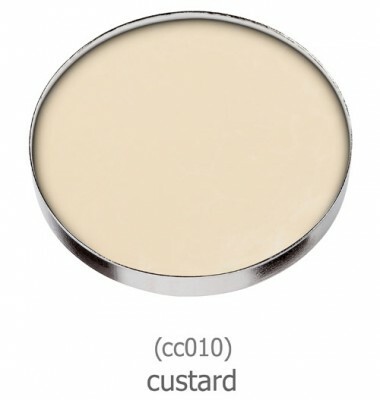 » creamy texture, extremely easy to apply. » highly pigmented to correct any imperfection on the face and body, creamy and gentle for around the eyes. » tear proof! a concealer that won’t run away with your tears. » vegan friendly – contains no animal byproducts. » reusable pan – sanitize empty pans with alcohol and keep some in your kit for special mixing needs. Also, a little goes a long way. It’s very blendable. I use it under my eyes, and I use a teeny tiny amount.